Since most injuries occur in the joints, you might wonder why exercise systems often only concentrate on two sides of the joint. With GYROTONIC® movement you will focus on every aspect of the joints making them flexible, resilient, moist and capable of easily supporting and responding to whatever activity or impact life offers. Since joint stiffness is one of the determining factors of aging, this becomes just one of the many ways this system helps to arrest the aging process. Most exercise systems move in a linear way that essentially compresses energy back into the body causing congestion and stagnation. Linear movement must eventually give out, whereas circular movement can be recycled endlessly, creating a more consistent and fluid flow of energy that aids in nurturing and strengthening all the systems of the body. Kerri Affronti is known for being an expert in Healthcare. She has invested over $100,000 in her education and more than 12 years studying body psychology, how and why problems originate in the body, and effective solutions to overcome these problems. She has developed diet and exercise programs that have helped thousands of men and women to dramatically improve their health. 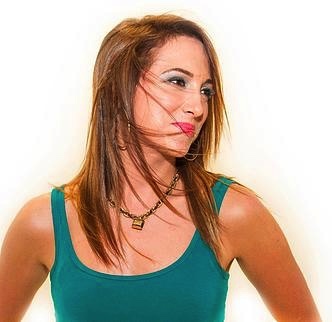 An award-winning dancer, Kerri has been interviewed in connection with her work with American Idol celebrity Diana DeGarmo, personal training work with celebrities and her expertise in movement analysis by eWomen Radio and Entertainment Tonight. Through her dynamic one on one sessions, group classes, and newsletters Kerri Affronti educates and leads with a positive, encouraging and illuminating warmth. Miss Affronti has achieved Advanced Certificate Training in numerous, diverse healing modalities including: Craniosacral Therapy, Orthopedic & Sports Massage, Classical Pilates, Feldenkrais Movement Education, and the GYROTONIC® and GYROKINESIS® EXPANSION SYSTEM. For more information on GYROTONIC® exercise, Kerri's background, or the services she offers please contact her or visit her personal website at www.kerriaffronti.com.